Here’s an important tip before seeing one of Shakespeare’s history plays: do some homework. Not a lot. It doesn’t have to be on the level of a college paper, or even a high-school essay. Simply go on-line or pick up a book and catch a glance of who’s who; perhaps even a brief outline of what you’re about to see. It will help. 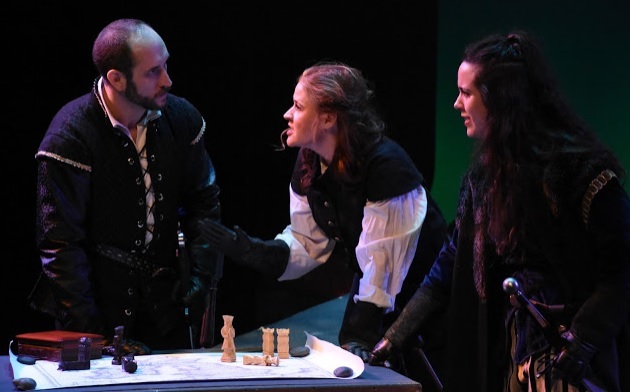 Unlike his comedies, tragedies, or his dramas, where the only obstacle for the casual Shakespeare visitor is adjusting to the Elizabethan language, a history play by William Shakespeare seen for the first time might prove a challenge. The stories can feel sprawling. Scenes jump from one to another with settings that are months apart, but you might never realize it unless you already know. Plus there’re the names. When characters are referenced by different titles, you start asking questions, such as how come a certain character is called this when others are calling him that? If someone is known as Hotspur, then who is Harry, and why does someone else call him Cousin Percy? And how confusing it must be to suddenly realize that another Harry, then Hal, then Prince of Wales, and eventually Henry are all the same person. Plus, there’re the locations. It may not be of vital importance to have heard of Shrewsbury, or York, or Northumberland, or even where an area called Eastcheap is supposed to be, but it helps. Going in to see a Shakespeare history play armed with a little advanced knowledge puts things into perspective. It’ll make all the difference to your enjoyment. 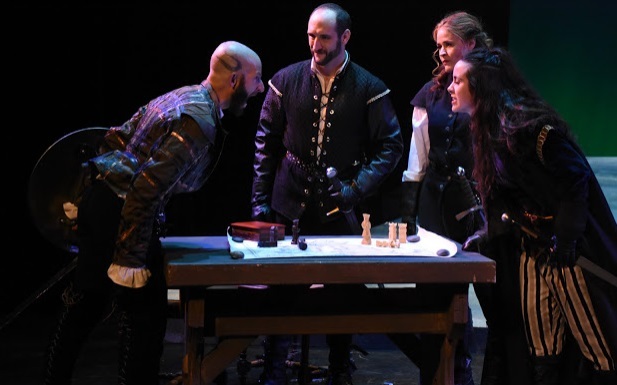 And there’s no better example of this than watching Southwest Shakespeare Company’s new, inventive production of Henry IV, Part 1. Like all of Shakespeare’s history plays, the dates and settings in Part 1 may be historical, but it’s not history. Fictional characters mix with real-life royalty. Though, perhaps because Shakespeare knew that Queen Elizabeth 1 would be in attendance at his Globe Theatre on the south side of the River Thames, members of her lineage were generally presented in a positive light, even if, in reality, they were often the villains, or vice versa. It was insurance for the author against being arrested. The best example is King Richard III, a man who by most accounts was an okay guy, but being out of favor with Queen Elizabeth’s bloodline, was written by Shakespeare as an ugly hunchback with a vindictive, villainous streak. No doubt, the queen was amused, but it wasn’t history. When referring to Henry IV, Part 1, students of Shakespeare will want to discuss the subjects of honor, the British culture, its languages, and the duality of settings and character. Under director Asia Osborne guidance, all of these themes and production designs are clearly evident, thus scenes depicting the serious nature of war and vengeance in a stately setting are balanced by comedic, bawdy scenes of drunken frivolity in a pub. The theme of honor comes in the shape of Hotspur (Joshua Murphy) whose defense of his family name is of paramount importance, while King Henry lV (Eric Shoen) is tormented by the belief that his act of insurrection against Richard II at the beginning of the play was dishonorable. The bufoonish Falstaff (Keath Hall) questions the very nature of honor, concluding that it’s all a waste of time. And the difference of languages within the great British isles are delivered not only with regional dialects, as with Archibald, leader of the Scottish rebels (Alexis Baigue) whose brogue is nicely conveyed, and with the more difficult Welsh accent, successfully conquered by James Cougar Canfield as Glendower, but also with Bonnie Beus Romney whose Lady Mortimer knows no English and can speak only in her native language of welsh. In addition to the original Elizabethan text, director Osborne has introduced some new directorial flourishes, including singing that, first, introduces the play; second, brings us neatly to the intermission; and third, concludes the story. There’s also amusement, particularly when it comes to Falstaff and his cohorts and the way they enter from the theatre aisles, or the bumbling manner with which they execute a robbery, reminiscent of something The Three Stooges might have once performed. After waking up in a pub, the fat, boastful Falstaff refreshes himself under the arms and around the neck with flecks of beer from a silver mug. What doesn’t work quite so well is Falstaff’s modern military marching cadence and his ‘Boom Shaka Laka’ call, which comes across as simply jarring. Though oddly, Seth Scott’s guitar playing bass line to The Beatles’ Come Together, or Jethro Tull’s Aqualung, used as musical scene transitions, works surprisingly better than you might think. The production also benefits from a vigorous and highly-spirited cast where the energy of every member never flags. Plus, it’s gender-blind. Some characters traditionally male are played by Megan Lindsay, Libby Mueller, Hilary Kelman and Bonnie Beus Romney, and they never feel out of place. 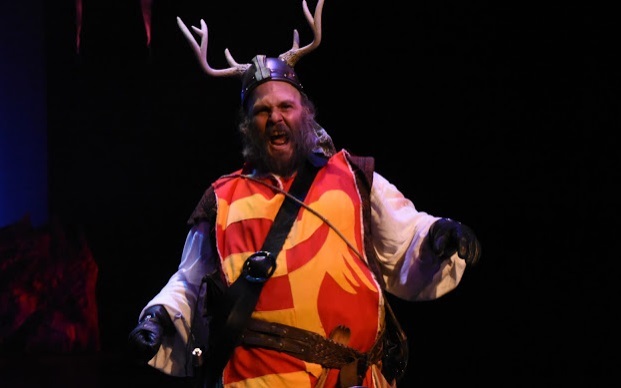 Keath Hall’s Falstaff embodies both the bloated, physical appearance and the comedic characteristics of a vain, cowardly knight, while Joshua Murphy’s Hotspur is nothing short of adrenaline-fueled; the man talks with such excitement as he plots against the reigning king, his feet practically leave the floor with every new idea that springs to mind. Eric Schoen makes for an effectively solemn and troubled King Henry, though curiously this is not really the king’s story. He’s absent for long stretches to the point that his character becomes a subplot in his own play. 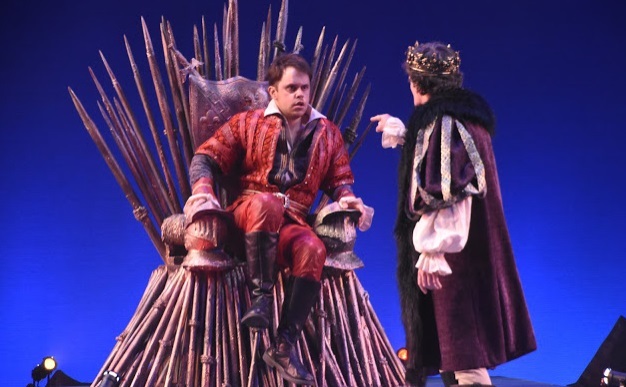 The central figure is really Tony Latham’s Prince Hal, the future king, whose performance balances the mischievous prankster with the seriousness of royal duties extremely well; another example of the duality of character that students of Shakespeare should note and recognize. Something to keep in mind if you’re unaware. 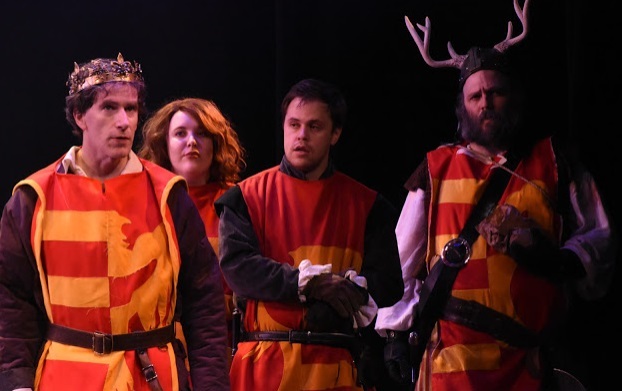 The play is the first part of a two part story that comes in the middle of a succession of history plays, beginning with Richard II and ending with Henry V. But don’t panic. Henry IV, Part 1 is a stand-alone story that works on its own terms, but it begins where Richard II ends, and at its conclusion, sets things up that will eventually fall into place in Henry IV, Part 2. Confused? You won’t be, not if you do a little homework before taking your seat at the Nesbitt/Elliot Playhouse at Mesa Arts Center. You’ll be glad you did.